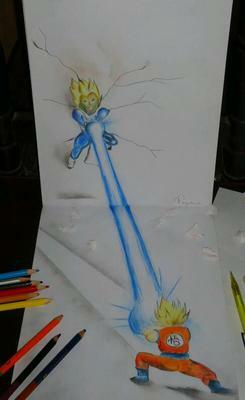 here is the 3d drawing of goku by me..this is completly made by colour pencils. along with shadings to look it realistic..hope you like it..
:) awesome work Priyadarshi! of course we all like it :) really cool :) keep on drawing more of these, you have great talent, please draw more!